US President Donald Trump's administration is resorting to "cheap blackmail" against the Palestinians with its decision to cut more than $200 million in aid for the West Bank and Gaza Strip, a senior Palestinian official said Saturday. A State Department official said Friday that the decision, made "at the direction of the president," came after a review of aid programmes to the Palestinian territories. The funding would "now address high-priority projects elsewhere". Hanan Ashrawi, a member of the Palestine Liberation Organisation's (PLO) executive committee, hit back, saying: "The US administration is demonstrating the use of cheap blackmail as a political tool. "The Palestinian people and leadership will not be intimidated and will not succumb to coercion. 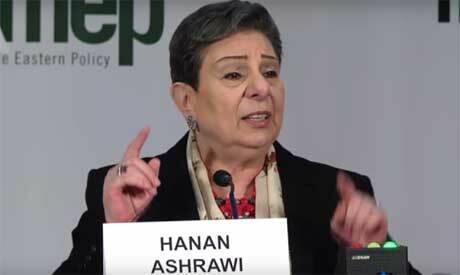 The rights of the Palestinian people are not for sale," Ashrawi countered. In January, the United States had already made drastic cuts to its contribution to the UN agency for Palestinian refugees UNRWA. Relations between the US administration and the Palestinian Authority took a nosedive after Trump last December decided to recognise the disputed city of Jerusalem as Israel's capital. The Palestinians have suspended contacts with Washington and consider that it can no longer be an impartial mediator in the Middle East peace process. After the latest blow, Ashrawi insisted that the Palestinians, living under Israeli occupation, would not be coerced into surrendering their rights. "There is no glory in constantly bullying and punishing a people under occupation," she wrote in a statement. "The US administration has already demonstrated meanness of spirit in its collusion with the Israeli occupation and its theft of land and resources; now it is exercising economic meanness by punishing the Palestinian victims of this occupation." In an initial reaction on Friday, the PLO's representative in Washington, Husam Zomlot, said the US administration was "dismantling decades of US vision and engagement in Palestine". "After Jerusalem and UNRWA, this is another confirmation of abandoning the two-state solution and fully embracing (Israeli Prime Minster Benjamin) Netanyahu's anti-peace agenda," he said. The decision to cut Palestinian funding comes amid a humanitarian crisis in Gaza, which has seen a surge of violence since Palestinian protests erupted in March. At least 172 Palestinians have been killed by Israeli fire, the vast majority of them during demonstrations near the border.